All orders placed before 3 PM between Mondays to Saturdays, Manila time, will be processed on the same day. Items ordered after these cut-off time will be processed the next working day. Processing and delivery of all items received on Sundays and non-working holidays will be attended to the next working day. We do NOT have Sunday deliveries for fresh flowers. Our regular delivery hours are from 11 AM to 5 PM from Mondays to Saturdays. This sometimes may extend up to 6 -7 pm. Please note that we can not accommodate time-specific deliveries since we only outsource our couriers. 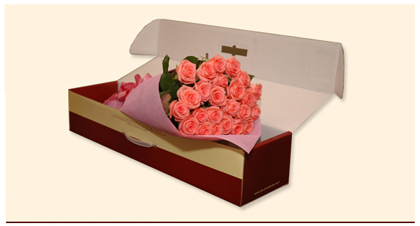 Due to the nature of the product for flowers, EXPRESSREGALO.COM has the right to replace colors depending on stock availability. Please place your order 2 - 3 days prior to your desired delivery date.